While at SewDown, a bunch of us were looking for something to do during the free sew time. 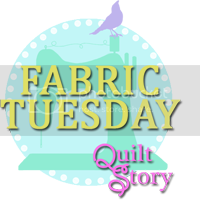 I had come directly from a work trip in Milan, Italy, so I didn't have much room to pack extra fabric/projects. Fortunately, we all received charm packs of Michael Miller Cotton Couture solids in our swag bags. 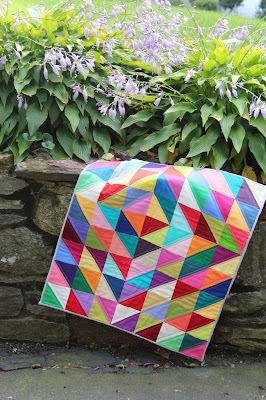 A bunch of people decided to do a challenge to make a quilt using the charm pack - and thus the SewDown ThrowDown was born. Personally, I love it just like it is! Love it! The colors placement is just fine! Love how the colors play off each other. Beautiful! I love your quilt! Wonderful design for the triangles and colours are perfect! this is gorgeous - the colors are wonderful! It's so pretty! I was amazed by how quickly you put it together!! This is looking great! Can never go wrong with HTS quilt. Love the quilting too, simple yet beautiful! I love how the colors worked out. 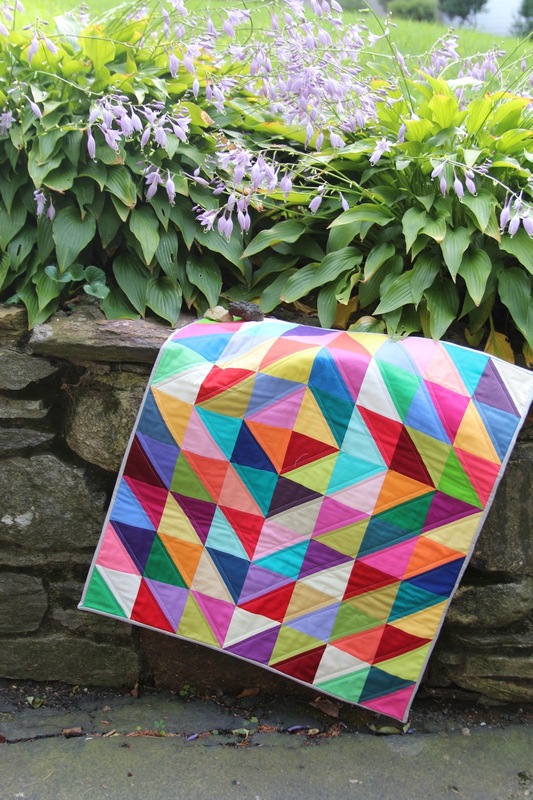 Such a bright cheery quilt.